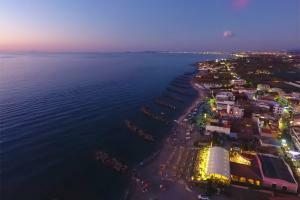 The restaurant La Lampara offers a great location with a terrace right on the sea and a great selection of sicilian dishes like fish and pizza. 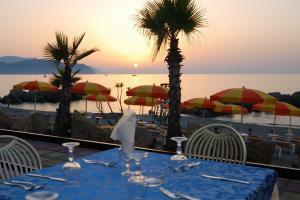 The restaurant La Lampara is situated in a charming location directly on the sandy beach of Terme Vigliatore. A lunch or dinner on the large terrace directly at the sea is not only for the stomach, but also for the eyes a pleasure. 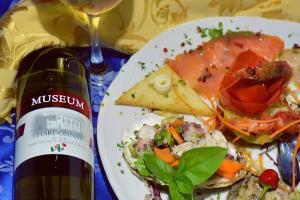 While you enjoy the sicilian delicacies, your eyes glide across the open sea to the Aeolian Islands. In the summer you can even see the sunset right above the sea. It does not get any more romantic! The restaurant La Lampara is specialized in all kinds of fresh fish, which are freshly bought by local fishermen. Also the large offer of pizzas from a brick-built wooden oven convinces. 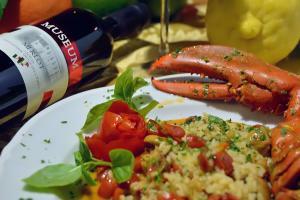 Not only for dinner, but also during the day you can visit the La Lampara. 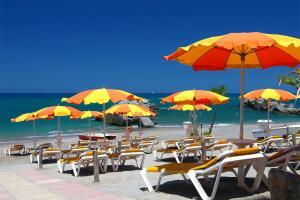 The restaurant offers a private beach section equipped with sun loungers and umbrellas. 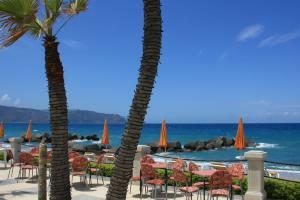 Here fresh drinks are served from the bar of the restaurant and if you wish, you can have lunch on the large terrace.